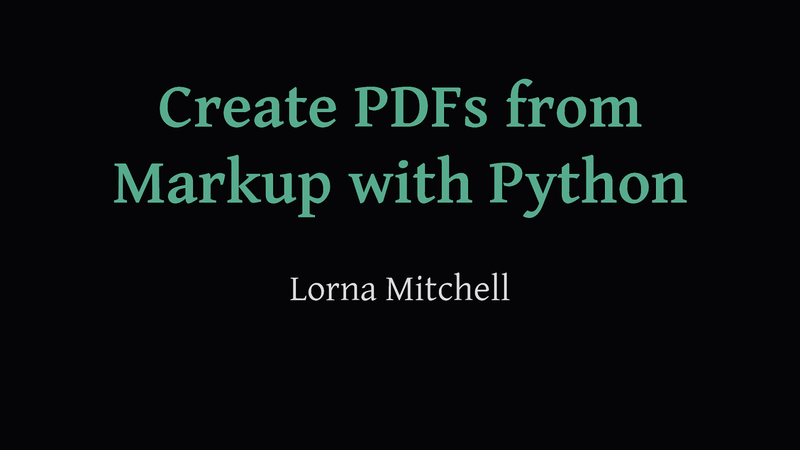 View Text Markup to PDF with Python on Notist. Introducing: rst2pdf. This open source python project enables you to write simple, text-based markup and generate beautiful PDF documents with a single command. Using text-based content makes collaboration simple as source control tools can be used; it also allows content to be easily repurposed to different documents without reformatting. The styling can be changed independently and different formats produced from the same content source - it also supports syntax highlighting. This talk will also cover a bit about the state of the open source project itself and how people can get involved as users or contributors.